The Bobcat Chronicle: Dempsey Challenge! 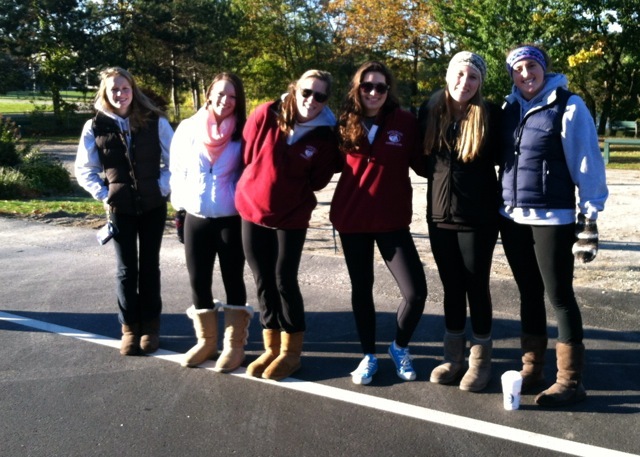 Bates Swimmers and Divers do much more than simply swim, study, and sleep. We have a lot great athletes on the team, and a lot student athletes that get involved in the community. 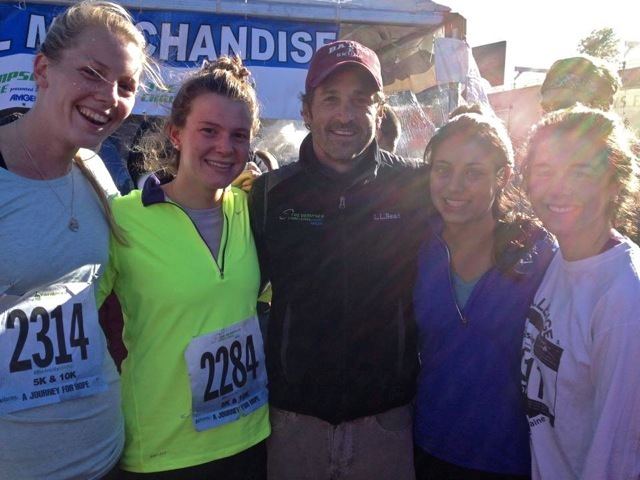 Just recently the Dempsey Center, founded by Patrick Dempsey, held a major fundraiser in town for their cancer support center here in Lewiston (aka Dr. McDreamy on Grey's Anatomy - and yes thats him with a few of my swimmers pictured above... notice the Bates hat!). Patrick's mother is a cancer survivor, and he wanted to give back to the community and help out others that have to fight this terrible disease. 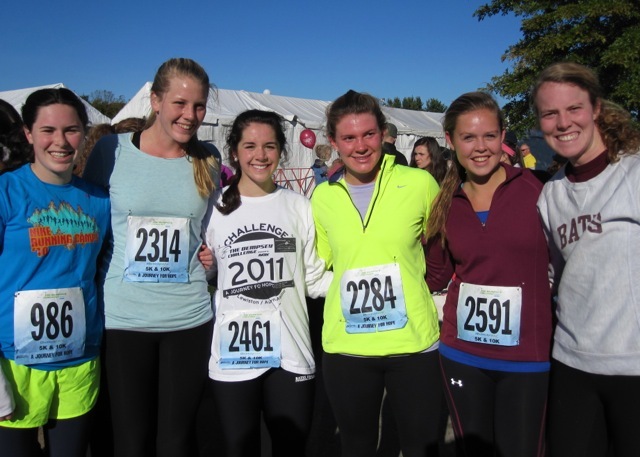 This year the Dempsey Challenge raised over 1.1 million, and had over 5,000 people register! 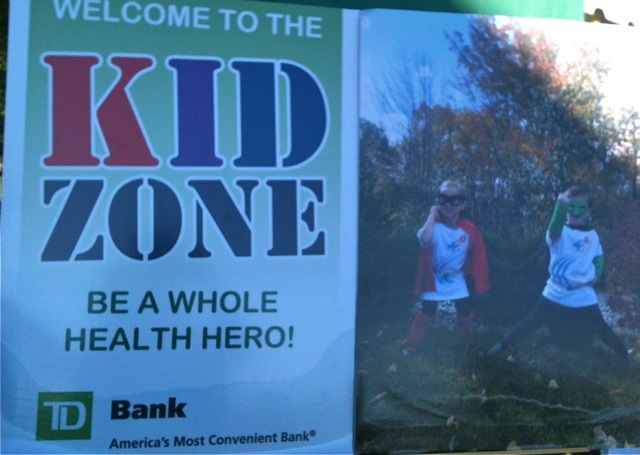 My wife helped set up the Kid Zone at the Dempsey Challenge (check out the picture with my daughter in the red cape dressed up as super hero!) . She spent countless hours over the past 6 months helping prepare this area of the event by inviting dozens of vendors, getting them to volunteer their time and services, and ultimately creating a place where kids could become Whole Health Heroes! Kids ate well, exercised, read, and learned about living healthy. They were given prizes for participating and showing up... and 100's of kids loved the area - as did their families. She simply did an amazing job putting this whole thing together! My athletes played a role too. "Veggie customs? Kids run? Bobcat mascot? Oh baby, we're in!" They were excited. They came and played with the kids, got prepped for Halloween a little early donning their costumes, and made a big impact on the crowd - and with the children. I heard there was dancing near the stage to cheers from the crowd! 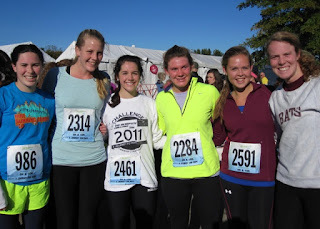 Below are also pictures of the team that helped cheer and also the runners that tackled the 10K at 8am on chilly Saturday morning. 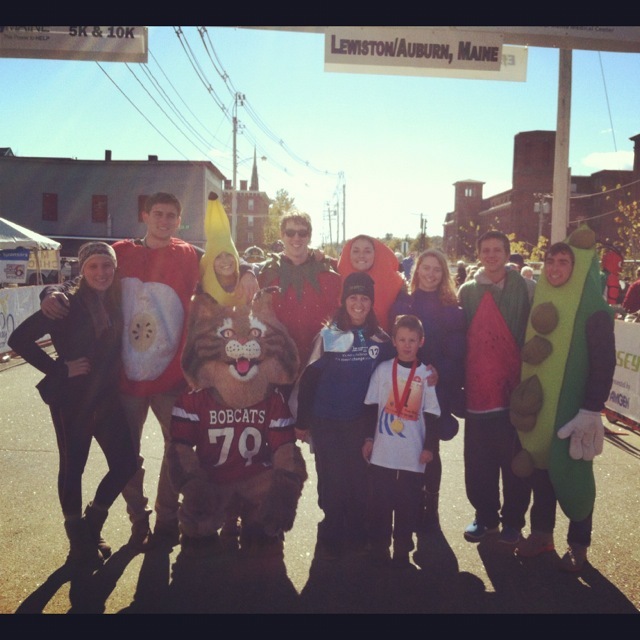 All in all, it was a great day to be in Lewiston - and great day to be a Bobcat! Cheer Station! Carly, Lyndsay, Geiss, Mollie Corcoran, Lyndsay and Kristen. Thanks Lyndsay for setting this up!